Last summer we were looking for a cake for my sister’s bridal shower and one of our concerns was that cakes typically look beautiful but they don’t necessarily taste as good. I approached Nicole from Emelle’s Catering and she reassured me that they have an in house pastry chef that not only creates extremely creative cakes but also cakes that taste very delicious so when it came time to the day of the event first of all everyone was just wowed by the design of the cake. The colours were the theme of the event which was pink and black and it was a three tiered cake absolutely gorgeous and when it came time to people actually sitting down and eating the cake they were blown away by the taste of it all. I would have absolutely no hesitation to recommend Nicole from Emelle’s Catering for all of your catering needs. 0	How to Pick a Caterer for your Event in Vancouver? Mark: Hi, it’s Mark Bossert from Top Local Lead Generation. 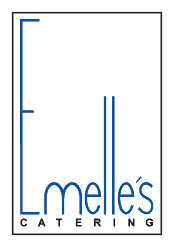 We’re here talking with Nicole Burke from award winning Emelle’s Catering in Vancouver. How’re you doing this afternoon Nicole? Nicole: I’m fantastic Mark, how about you today? Mark: I’m great, it’s a busy day, we’re doing lots of Hangouts and so we’re going to talk about catering in Vancouver. I guess you guys are heading into another busier season with Christmas coming up. So what are the does and don’ts when picking a caterer for your event? Nicole: The two questions everybody asks the caterer are you going to show up and are you going to run out of food. And so when you’re hiring a caterer my first piece of advice always is to go and actually meet with them. Go to their shop, make sure that they’re a legitimate business, that they’ve got a health permit hanging on the wall, that they have a business license so at least you have a place to start, somewhere. Catering comes from all different facets so you can have people that work out of their basement, you can have aunt Jo who does it on occasion on a Saturday and particularly if you’re doing a big life celebration like a wedding or a company party it’s really, really important that you’re going with a reputable business first. Mark: So, that brings up what type of events do you guys kind of specialize in your catering business in Vancouver? Nicole: So we do everything from two people having a picnic on a beach which is fantastic for an engagement party or if you’re going out for a date. We do events for 2,500 people so we just did a barbecue for a corporate party and it was their staff picnic and yes, they had 2,500 staff and so and everything in between, particularly over the summer time its weddings which we do lots of in super high volume, and then anything that’s summer related downtown, so we have a partnership with Bard on the Beach, and do lots of corporate work there and then as we shift into this particular season we’re looking at mostly corporate work of Christmas parties, that kind of thing. Mark: So, just to toss a little wild card in here, I know you guys were the caterers for something at the Olympics, when we had the winter Olympics in Vancouver as well. Isn’t that right? Nicole: We were, we were working at Live at Live City so down at the Beatty Street site as well as David Lam Park and we looked after not only all the corporate pavilions down there but also the little cafeteria that serviced all the blue coat little volunteers and it was an awesome experience because in that capacity we did super high end VIP events for all the corporate tents that were there as well as for city officials but we also got to meet the everyday folks who came in for a sandwich when they worked a sixteen hour shift walking around the streets and we also looked after the vans as well so huge difference facets and gave us a lot of different opportunities to see lots of different things. Mark: Cool, so are there specific venues in Vancouver where you’re the sort of the preferred service provider? Nicole: Absolutely, those are partnerships I look for all the time, so we have been the exclusive caterer to the Vancouver Rowing Club in Stanley Park since 2007. We love it there. Certainly the best water view around. We also work the Telus World of Science which has also great opportunities for on the roof top deck for weddings, lots of different places for corporate parties as well. We work out of the UBC boat house, the Roundhouse Community Centre, we do work at the airport, so you name it, we’re there catering to it, for sure. Mark: So, I guess it’s like you already talked about, you do all kinds of sizes and types of events basically? Nicole: We do, right. So your average event these days is about a hundred and fifty people. If you’re looking at a corporate event, Christmas party, that kind of thing or a wedding for the most part, but day time office meeting could be four people, CEO’s sitting around having a muffin and we do that too, funny intimate little dinners are the most fun because you have an opportunity to engage with the folks that you’re working with and you can create better relationships that way, working forward. Mark: Awesome, Nicole this has been great. Your service and your food is truly amazing, world class. I’ve experienced it many times and I’m proud to say I’m a customer of Emelle’s Catering and we do a lot of business with you guys. So, it’s awesome to have you on as a guest. Thank you so much. We’re talking with Nicole Burke about catering. You can reach them at Emelle’s Catering.com or give her a call 604-875-6551. Thanks Nicole. Nicole: Thanks Mark. Have a great day. 0	What is a cake cutting fee? 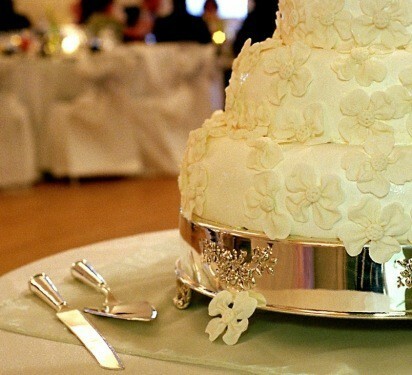 Cake cutting fees are often charged by caterers or reception venues to replace the lost revenue of dessert sales when cakes are brought in from another bakery. A Corkage fee, for cakes! Their cake cutting fees are charged to cover the costs of cutting the cake which takes skill and time, plating and serving the cake at a cost of around $1.50 to $2.00/slice. While we would love to have you taste our signature in-house made desserts, if we are not the sweet fit, we will gladly cut your cake, free of charge. We welcome all contributions from family and friends helping to make your wedding special. 0	What do your service staff charges include? 0	What kind of food do you serve?